For yet another year, Recommend’s Readers’ Choice Awards has reaffirmed the popularity of Florida for family vacations, honeymoons, best travel agent support, and more. So what does this mean for travel advisors booking their clients on vacations in the Sunshine State? 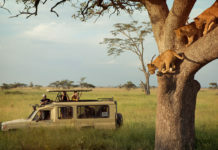 It means staying up to date on the latest news and changes in the hotel landscape is imperative. Here are just a few of the new upscale Florida properties opening soon. The 640 Bar inside The Celino South Beach Hotel. 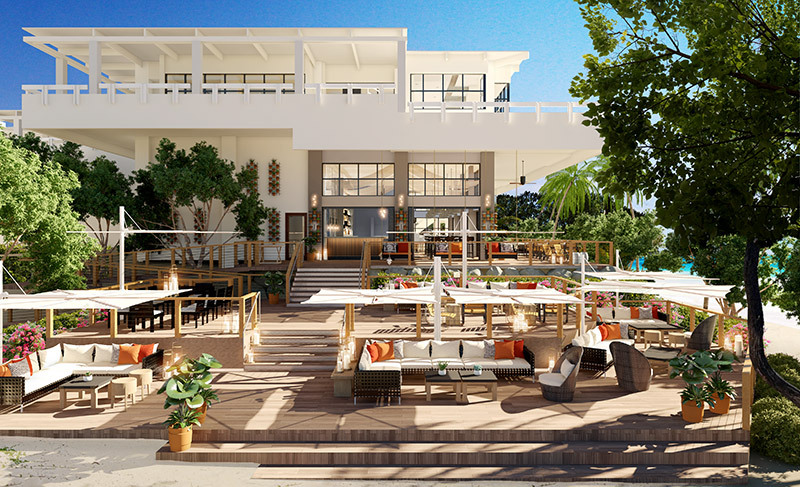 Opening in early 2019 will be The Celino South Beach Hotel. 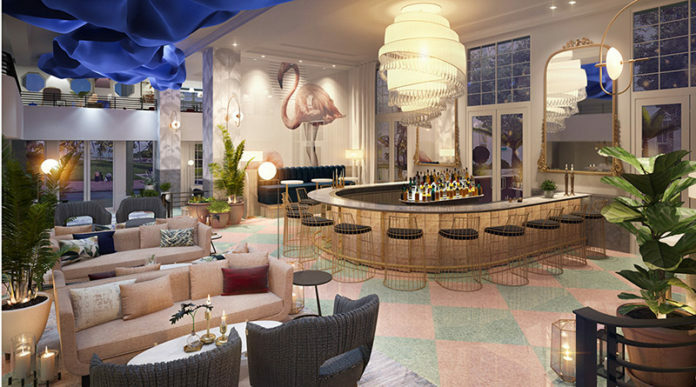 Housed in a building originally constructed in 1937, the 132-guestroom hotel will be comprised of a new 5-story atrium property and three original Art Deco buildings including the iconic Park Central Hotel, which was once the tallest Art Deco building on Miami Beach’s Ocean Drive. The Celino will pay homage to the South Beach of the 1940s with its interior decor that also blends Miami’s modern style along with a Cuban-inspired color palette. The hotel will feature a rooftop glass-bottom pool, a library, two dining outlets, an indoor/outdoor central bar, and in-room beauty and wellness services ranging from hair and nails to yoga and massages. For more information, visit thecelinohotel.com. 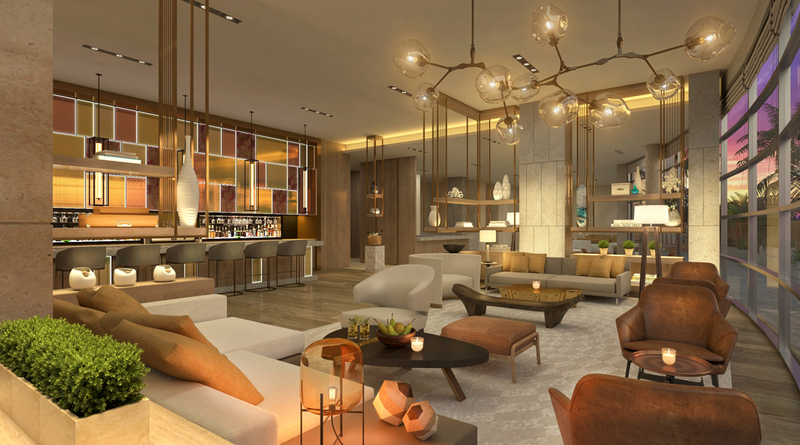 Spanning over seven acres on the Atlantic shoreline in Palm Beach County’s Singer Island, Amrit Ocean Resort & Residences will open its doors in late 2019 for travelers looking for a property that merges wellness lifestyle practices from Eastern traditions with modern Western luxury, along with personalized and virtual support experiences. 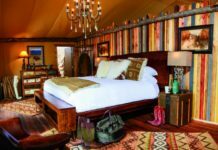 Amrit will offer a 24/7 CUSTOM experience centered around education, instruction, and positive lifestyle changes based on the resort’s five pillars: nutrition, fitness, mindfulness, sleep, and relaxation. 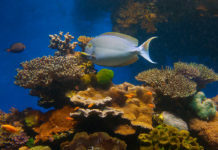 For more information, visit amritocean.com. Also opening in early 2019 is Baker’s Cay Resort, a new upscale beachfront property carved out in a secluded region of Key Largo. Located on the Gulf side of the Overseas Highway, the 13-acre property features 200 rooms, two swimming pools separated by a waterfall grotto, a salon, four dining outlets including a beachside taco and tequila eatery, a food truck, a library filled with vintage paperbacks, and a nature trail. For boating enthusiasts, the property also features a boat dock, while those who don’t want to leave their pets behind can bring them along to enjoy pet amenities such as doggie beach tikis. 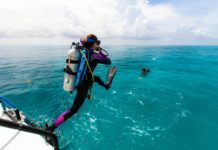 In an effort to support the local environment, Baker’s Cay supports coral restoration dive programs, dolphin rehabilitation initiatives, and more.